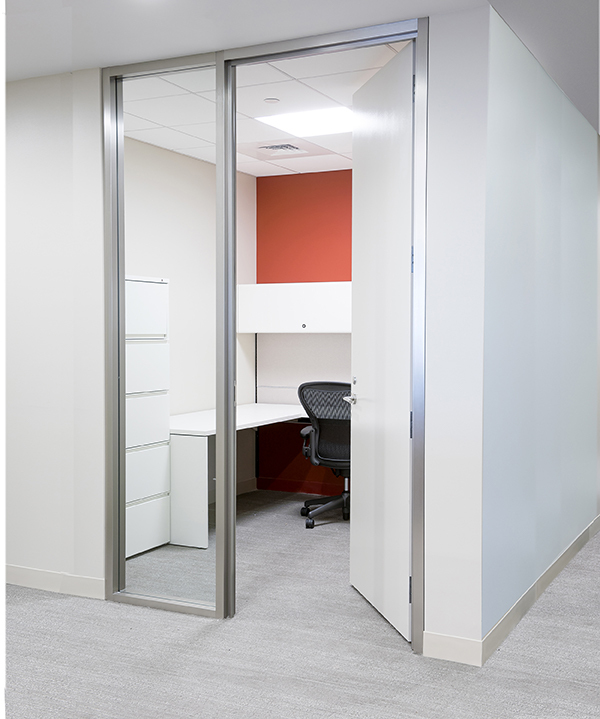 We have partnered with Dormakaba, the world leader in access and hardware products to offer a full line of demountable wall solutions. 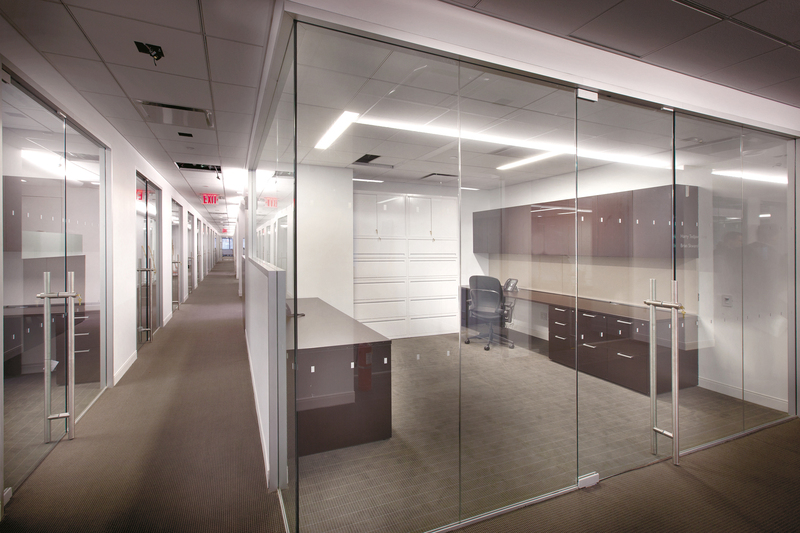 Our glass systems bring a versatility well beyond anything else on the market. Available both framed and frameless, these systems offer balanced solutions with unlimited possibilities. 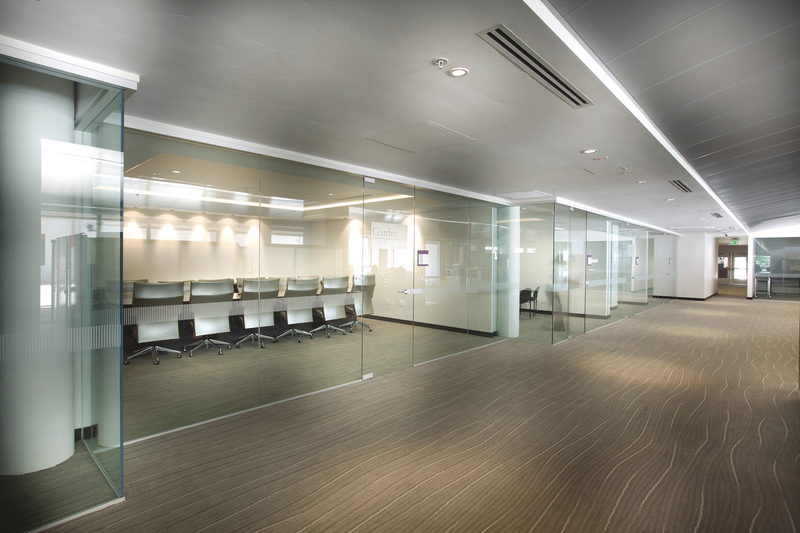 Frameless PURE Glass Walls with sliding doors create simple, elegant fronts with extended transparent sightlines. They work well wherever space is limited. 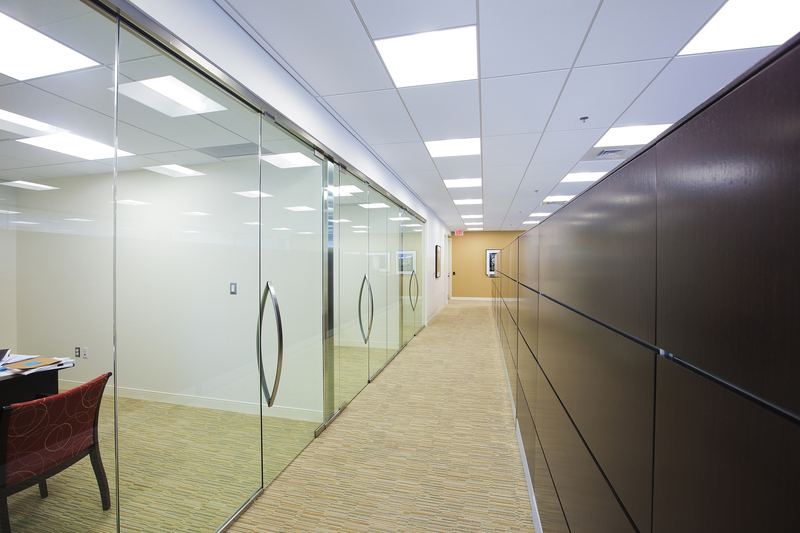 A precision top track and a small guide at the sill allow for a smooth transition between office and corridor. 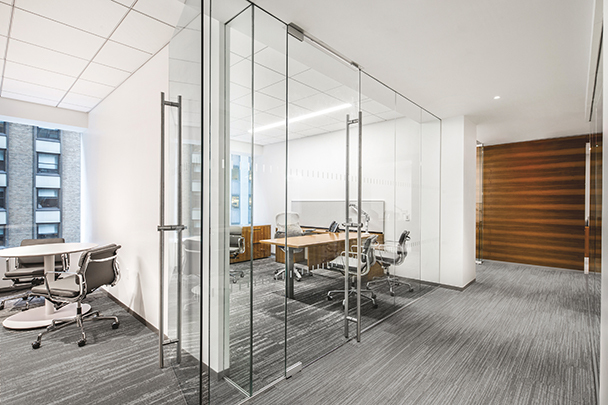 PURE ENCLOSE Framed Glass Wall Systems with swing doors provide the aesthetic advantages of glass walls with the added benefit of full framing. The 1-3/4″ (44) × 4-1/8″ metal channels at the floor, ceiling, and walls effectively dampen sound transmission and add structural definition, without impeding sightlines. Full framing also accommodates uneven floors, which often present a challenge when installing glass walls. 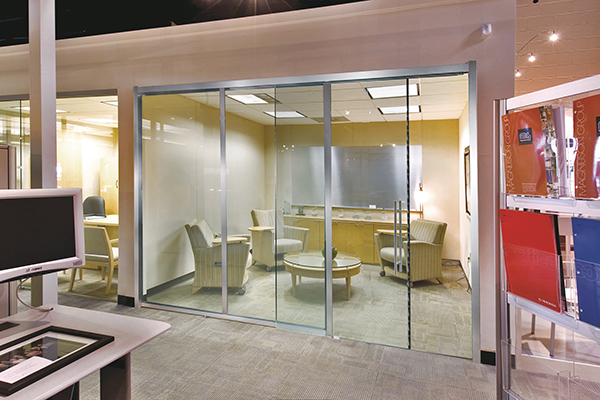 PRIVÉ Framed Glass Wall Systems with sliding doors provide the transparency of glass combined with features to enhance privacy and security. 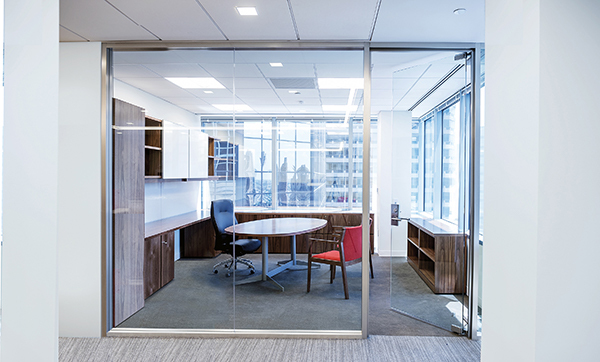 With an innovative blend of metal and glass, the PRIVÉ design fully frames the glass panels—adding rigidity and greater sound protection without interrupting sightlines. When fully closed, the door edge rests in a brush-lined channel built into the frame post. The FUSION Glass Wall design realizes an innovative mixed media concept: cool transparent glass walls merged with warm wood doors. Intriguing options become possible for both modern and traditional décors. Despite the sophisticated combination of elements, the design remains clean and simple.